Stacey Gross has a BFA and MA in Art Education from the University of Illinois with a studio emphasis in photography and has taught art at Centennial High School in Champaign, IL for 24 years. 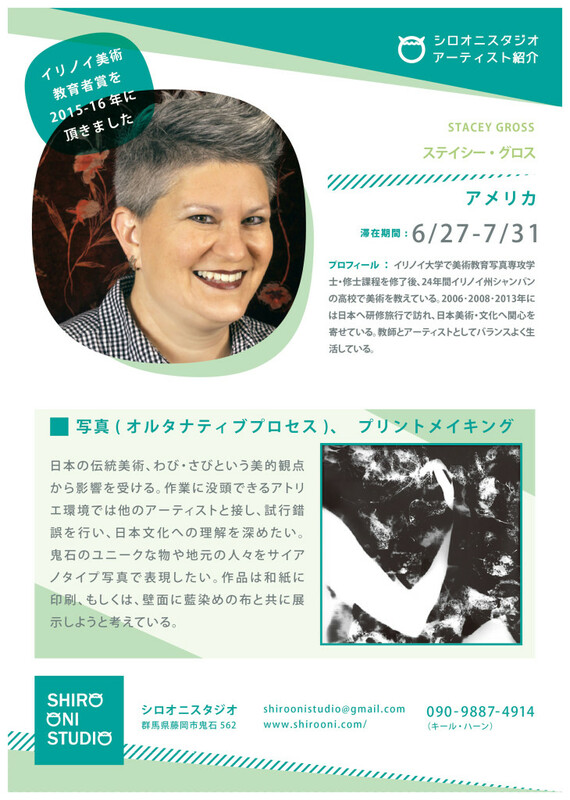 She has traveled to Japan on study tours in 2006, 2008 and 2013, fueling a life-long interest in Japanese art and culture. Stacey balances work as a full-time educator and practicing artist, working primarily in camera-less photography.